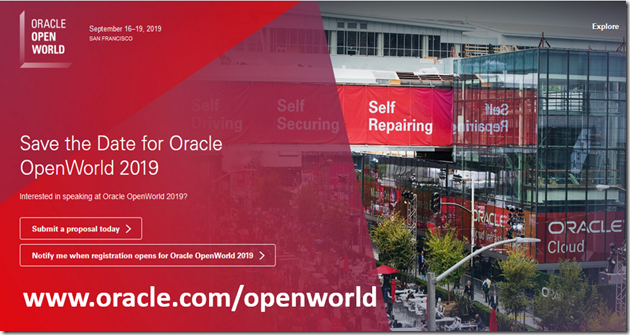 Want to present your PaaS customer success at Oracle OpenWorld 2019 in San Francisco? Submit your paper here until March 13th 2019. For additional call for papers please visit the wiki here.